National telecom operator Bharat Sanchar Nigam Ltd has introduced a new entry-level special voucher of Rs 39 that offers free roaming voice calls to any network in Delhi and Mumbai. The company’s latest voucher aims to promote its prepaid plans which though offer unlimited voice calling service in all areas, are not applicable to major cities of New Delhi and Mumbai. The latest recharge plan seeks to make the company’s prepaid plans more popular. BSNL doesn’t have operations in Mumbai and Delhi circles, where the other government-owned telco MTNL operates. This is the reason why most of the BSNL combo plans don’t offer voice calling benefits to Mumbai and Delhi circle users. Under a promotional STV or special tariff voucher priced at Rs 39, the state-run telco BSNL is offering truly unlimited voice calls all over India. The validity of this plan is 28 days. The maximum retail price of the combo roaming ‘STV 39’ is Rs 39 inclusive of service taxes. It is priced at Rs 41 in Kerala circle. 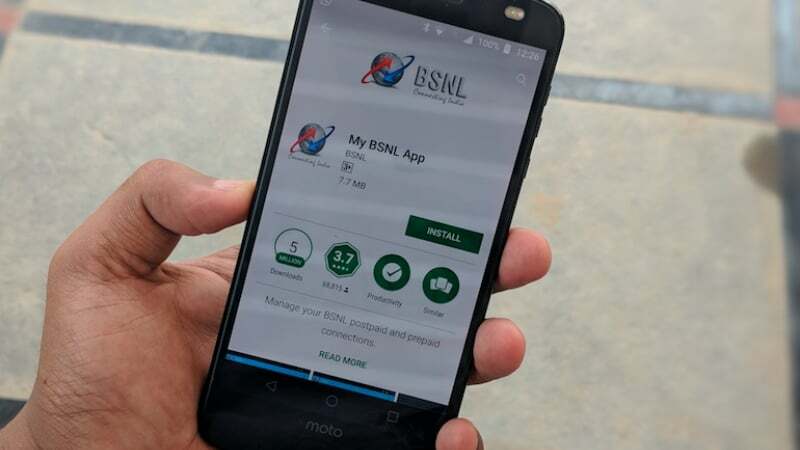 BSNL says the tariff voucher is applicable for customers with following BSNL prepaid recharge plans: Rs 186, Rs 446, Rs 485, Rs 666, Rs 949, and Rs 999. Though these BSNL plans already cover unlimited voice calling with roaming in all regions, they don’t cover Delhi and Mumbai circles as mentioned above. This is because state-owned MTNL operates in these circles. With the recharge of STV 39, subscribers can experience true unlimited voice calling service pan-India. The recharge offer also offers Rs 10 talk time value in the main account. The top-up recharge is really beneficial for existing BSNL customers who need to make calls to the National Capital Region or Mumbai. In addition, BSNL also launched another exceptional prepaid recharge offer of Rs 118 on a pan-India basis very recently, which offers unlimited voice calling and data. BSNL rolled out a new Special Tariff Voucher (STV) of Rs 118 for prepaid subscribers of its service. The recharge pack includes multiple benefits such as unlimited voice (local/STD) in home LSA (licensee service area) as well national roaming in all regions, except Delhi and Mumbai. In addition, the plan offers 1GB of high speed 3G internet data for a period of 28 days. Post usage charges will be applicable as per regular plans. Moreover, customers who recharge via this pack will also get free access to Personalized Ring Back Tone (PRBT) service. This prepaid recharge offer has been rolled out on PAN India basis. Never go with headlines.. it’s always misunderstood. Because there is always conditions before recharge.